1. If there’s ONE thing we can do for a healthier heart, what’s the best thing to do? 2. 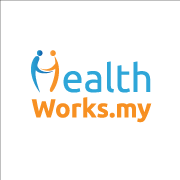 Taking into consideration the Malaysian culture (long working hours, excessive love for mamak etc), it seems hard to lead a healthy lifestyle. How do you advise we go about it? It depends on how willing you are to live healthy. Always make your own food to tapau to work, so you save money too by eating out less. With long working hours, it may be difficult to find time to exercise. But you’re off during the weekends, and during your lunch hour. You can always spend 30 minutes doing some exercise, and the other half hour having a bit of food and refreshing yourself. At the end of the day, it’s how you modify your schedule to live healthier. 3. What if I’ve always eaten these unhealthy bad-for-heart foods my entire life, is it too late now? It’s never too late. You know in Malaysia, there’s a lot of U-turns on the roads, it’s the same with your life, it’s never too late to make U-turn. 4. How can we make a U-turn foodwise? We’re surrounded by mamak stalls, foods with high cholesterol content, like fried food, fatty meat. Instead of eating all that, go for lean meat, eat more fibre (fruits and vegetables), white meat (like chicken), and avoid red meat (like beef). Use less oil in your cooking, and when you do use oil, olive oil is the best option. Less deep-frying, more stir-frying. And while salads are healthy, you must also watch out for the dressings. Some dressings are high in calories and taste really good but it’s not healthy or good for you, so you must be smart and know what you’re eating. With that said, it’s always good to have a balance. Eat healthy food most of the time, and give yourself a treat once in a while. Once a week is okay. The key thing is to get your cholesterol checked once a year or so, and check your diabetes status when you’ve reached a certain age (over age 45). 5. We’ve seen someone pounding his chest whenever he feels chest pains, claiming that it helps alleviate the condition. How true can that be? It depends on the kind of chest pain it is. If it’s a heart attack, no matter how many times you pound it, it won’t go away. If it’s psychological, then maybe pounding it will help you feel better. Pounding the chest will usually not help if it’s a physical pain. 6. How do you differentiate a regular chest pain from a heart attack? The normal symptoms of a heart attack is when your chest feels very heavy, very tight. It’s like a big stone pressing down on your chest, with a tight rubber band around it. You’ll have difficult breathing, and the pain may spread down the arm. Associated symptoms include cold clammy hands, feeling unwell, slightly sick and feeling like you need to vomit. These are the typical symptoms. Of course, some people having a heart attack might not show these symptoms, and some who shows these symptoms might not be having a heart attack. However, if someone has these kinds of highly suggestive symptoms, it is advisable to play it safe and go to the emergency ward. 7. Sometimes, I feel like there’s a pain in my chest to the point where breathing induces even more pain. I had to rest a while and breathe slowly for about five seconds and then everything is back to normal. But I’m not sure if that is a muscle pull, a chest pain, or a mild heart attack. How will I be able to differentiate it and what do I do? If you’re a young person, your risk of getting a heart attack is low. However, it’s not a definite no. Young people may still get heart attacks. If it keeps happening, my best advice is to get it checked. If it’s one of those things that comes and goes, and never comes back again, then maybe you can just monitor it. Again, if you can go to the gym and exert yourself very hard without any chest pains, then it is not typical of a heart source of pain. If you have heart problems, when you exert yourself, the heart needs more oxygen, but it cant get oxygen due to the blood vessels being clogged, so that’s why you’ll get chest pains. If someone can do a lot of exercise without getting chest pain, then it’s unlikely that the chest pain is caused by a heart attack. 8. How do you know if you’re exerting too much while exercising? There’s a formula for calculating the maximum heart rate by age, so you should keep track of that. If you have really exerted too much on the heart, the heart will keep beating very fast and you’ll feel fainty. Once you feel fainty, you have to stop. You’ll know it when you get it, you’ll need to sit down and rest. The best advice I can give you is never to overdo things. 9. How effective would it be to bring down the heart rate via multiple attempts of cardio at high bpm? Some sports require a really low heart rate. What is the most effective yet safer way to achieve it? Why do you want to bring down a heart rate? Is that heart rate normal? If it’s normal, you don’t need to bring the heart rate down. Professional athletes train a lot and exert a lot of intense stress on the heart, therefore the heart compensates by a forceful beat rather than an increase in the frequency of the heart rate. You don’t need to lower your heart rate like all the international athletes, if you have a normal heart rate, then that’s fine. 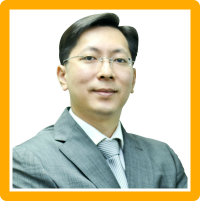 Dr TK Ho is the Consultant General and vascular/endovascular surgeon at KPJ Damansara Specialist Hospital. He has worked and trained in the United Kingdom for over 15 years. He has been recently recruited from London under the Malaysian Talent Corp Returning Experts Programme to KPJ Damansara Specialist Hospital to set up and provide a full vascular service at the hospital. See full profile here.